So many evidences of grace have been captured this past week. We’ve been given more than five truckloads of food, supplies, and clothing. We’ve seen families impacted by the floods receiving care then immediately helping others with the same needs in their neighborhood. 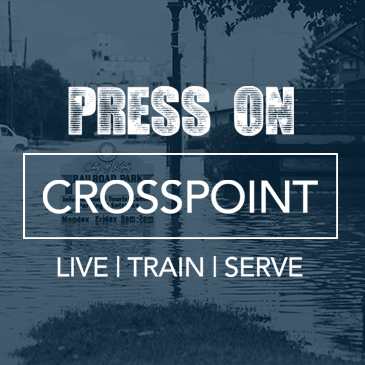 This is the work of the gospel and presence of Jesus in our lives as we “Press On.” Which is why we are holding over the “Press On” series for the next two weeks. The Bible directs us during times of trial and challenge just like the Harvey relief. Join us this week to discover Jesus’ message for difficult situations and how each of us may respond.